Okay, first off, let me start with a disclaimer: you should never email anyone without their consent or without prior interaction/conversation– it can be creepy but it also can be a violation of their privacy. This matters even more when it comes to email marketing and adding someone’s email address to your list without their consent. Let’s say you just read an article featuring an individual who you think would be the perfect partner for your startup, the ideal client for your company, or the hiring manager at your dream job but you just can’t find his/her contact information. 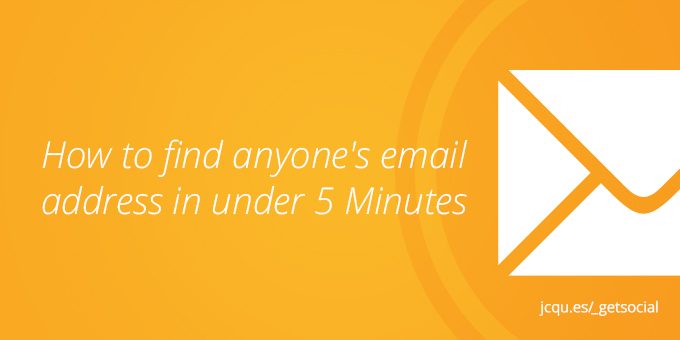 If you’re an entrepreneur, CEO, or salesperson, then you know the importance of finding an email address more than anyone else– it’s usually a direct contact between you and that individual. Try the process below to help you find verified contact information without purchasing lists or spending hours attempting Google searches. In my research, I’ve found that most companies follow a typical email format. How do I know which email address works? 3. 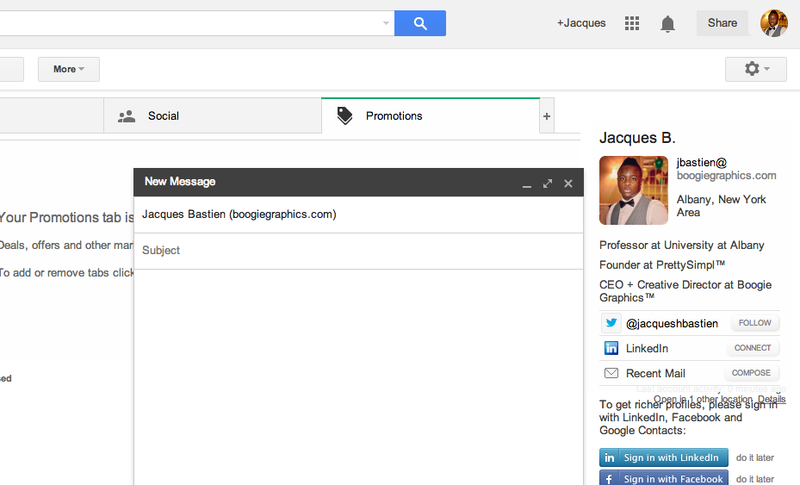 Open up Gmail in your browser (if you already have a Gmail account, then login). 4. Begin composing a new email and type in one of those email addresses into the ‘To’ field. Google’s Rapportive extension aggregates profile data from social media and attempts to find all of the information that it can from an email address once you type it in. So, if one of the emails are valid and possibly used on a LinkedIn profile, Google+, Twitter, or Facebook account, then it is likely this person’s info will pop up. This process has proved helpful for me and I still use it when I’m on the hunt for someone’s contact info. Hope this helps! Any questions? Feel free to comment below or shoot me an email (good luck finding my email address). If you have additional helpful tips to share for finding contact information, share below, I’d love to hear ’em!